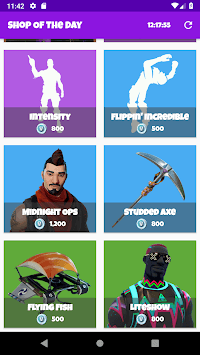 Show the shop of the day in fortnite. 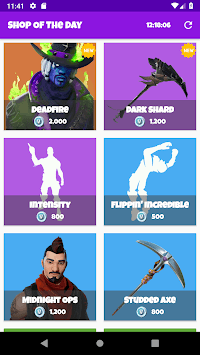 The shop change every day ! You need a internet connection to use the app.